It's hard to believe that Windows Phone 8 doesn't feature rotation lock until you attempt to watch a video and it rotates with the slightest vertical shift of your Nokia Lumia 920. However, that feature is said to be working its way into the next Windows Phone update, known as General Distribution 3 or GDR3. It will be known as "autorotate screen," according to sources familiar with Microsoft's Windows Phone plans who talked to The Verge. Despite the unique moniker, this basic feature won't be any different from every other phone that has the ability to disable automatic screen rotation. It is, however, said to preceded the birth of something new. Autorotate screen is being prepped for larger 5- and 6-inch Windows Phones to be on the market "soon," according to the report. Another convenience that Microsoft has been suggested to be working on is syncing text messages between Windows Phones, PCs and the web. That's similar to a feature Apple implemented in iOS 6 through iMessages and third-party app developers like MightyText created for Android phone numbers. 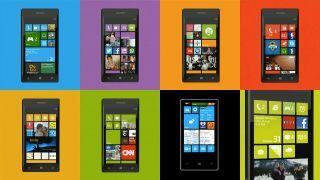 There's a chance that Microsoft's text syncing software won't be ready for Windows Phone 8 GDR3, as the feature is still being finalized, according to The Verge. Bu other GDR3 features expected to make it in time for its GDR3's release this year include slightly altered Live Tiles and a driving mode for in-car use.